If they’re lost it’s a security issue, but there are many ways in which a USB stick can help you to improve your digital security. While they’re small enough to be stolen, USB flash sticks are also compact enough to let you take your vital data with you everywhere you go. Add some encryption, and you can be reassured that the contents will remain secret. But is this the only way a USB stick can improve your data security and privacy? We’ve got five ways you should reconsider the way you use your USB flash drives, and make your digital life more secure. The vast majority of people store data on their USB sticks without consider encryption. Even on devices that ship with an encrypted partition, inputting a password to use the encryption is considered inconvenient. You don’t need me to tell you that this is irresponsible. It would be far better to use the encrypted partition, and keep your vital data — be it personal or professional — safe. Several tools exist for you to do this. In Windows, you might use some of these tools How to Password Protect and Encrypt a Flash Drive: 5 Easy Methods How to Password Protect and Encrypt a Flash Drive: 5 Easy Methods Need to create an encrypted USB flash drive? 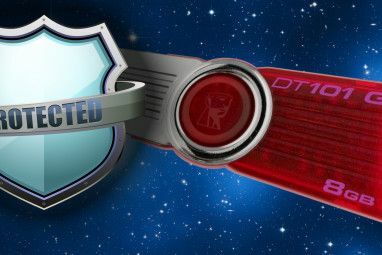 Here are the best free tools to password protect and encrypt your USB flash drive. Read More , or if you’re using Mac or Linux, these encryption tools designed as alternatives to the now-discontinued TrueCrypt TrueCrypt Is Dead: 4 Disk Encryption Alternatives For Windows TrueCrypt Is Dead: 4 Disk Encryption Alternatives For Windows TrueCrypt is no more, but fortunately there are other useful encryption programs. While they may not be exact replacements, they should suit your needs. Read More . We also like the Linux Unified Key Setup tool How to Create a Secure USB Drive in Ubuntu with Linux Unified Key Setup How to Create a Secure USB Drive in Ubuntu with Linux Unified Key Setup Your portable thumb-sized USB flash drive is a security risk. But if you're a Linux user, you can easily encrypt the drive to protect data should it be stolen. Read More . You might even prefer to buy a USB stick with encryption software built in. Another option is to make sure you have the ability to access your data immediately and securely whenever you encounter a PC. Forget about the risks of keyloggers in cybercafés and libraries — instead, install an operating system on your USB flash drive, and run that. You’ll need to check with the owners, of course, but this is an option in many places. 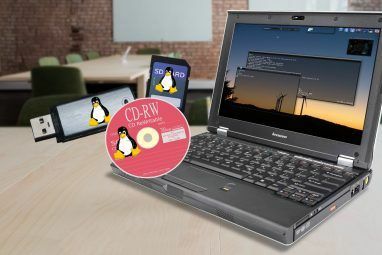 Several particularly suitable options are available for Linux The 5 Best Linux Distros to Install on a USB Stick The 5 Best Linux Distros to Install on a USB Stick USB are great for running portable versions of Linux. Here are the most useful Linux distributions to run from a USB drive. Read More , and it’s even possible to make Windows portable too How to Create a Portable Windows To Go USB Drive How to Create a Portable Windows To Go USB Drive Carry Windows in your pocket with Windows To Go. We show you how you can run Windows from a USB drive, like a portable app. Read More . The benefits of this approach are clear. Your own PC, the very definition of ultra-portable, in your pocket. While this might not offer optimum productivity — you’ll be stuck without the actual hardware — if you’re on holiday and visiting cybercafes or using a borrowed machine, it can improve your security and privacy considerably. Another way a USB stick can improve security is in the shipping of data. Sure, sharing via cloud storage, email, or instant messaging are convenient, but using a courier or postal service is arguably more secure. That is, if they don’t know anything about the device. To get around this, you might secrete the USB flash stick inside something else. Perhaps you’re sending a book: the stick might be hidden in the spine, or even in a hole created by cutting an appropriate shape in several pages. It might be taped into an object of furniture. The important thing is that the recipient knows where the USB flash stick is hidden, and can find it. Once this is done, the data has been successfully sent. It needn’t be sensitive documents, either. Assuming you’re using encryption on the device, you might need to ship video footage or audio. Perhaps the recipient doesn’t have internet access — shipping data on a USB stick via a courier would seem to be the obvious choice, and given the size of such a device should be relatively cheap. Unless you tape it to the back of a wardrobe, or something! 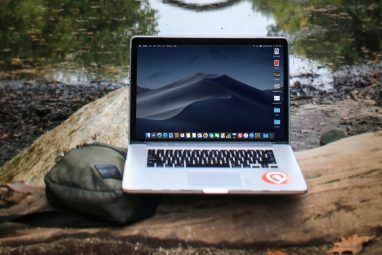 Whether you make backups onto a time machine-style external hard disk drive or prefer to rely on cloud syncing, it’s a good idea to have a regular backup of your recent vital documents. What better device to store this on than on a USB flash stick? Naturally, you’ll need to ensure that the drive capacity can store the volume of data you wish to backup. Also, you should consider the security and importance of the data. Does it need to be encrypted? If so, revisit the section above on encrypted partitions, as this will make all the difference should your USB stick be lost. You don’t want unauthorized people viewing your data, do you? It’s not all about carrying data around. You can use a USB flash stick to unlock your PC, turning it into a literal key. Several tools are available that make this possible, which we’ve looked at previously 3 Tools for Turning Your USB Drive Into a Secure Unlock Key for Your PC 3 Tools for Turning Your USB Drive Into a Secure Unlock Key for Your PC Yes, it's possible: you can turn your USB flash drive into a physical key that locks and unlocks your computer. Read More . The end result is that you have a device that you can plug into your PC or laptop to unlock it, without relying on a password or PIN. Note that this method has its downsides. Lose the key, and you won’t be able to gain access to the computer. Similarly, should the key become corrupt for whatever reason (typically caused by extreme temperatures or a sudden impact) then you’ll be also be locked out. Making some backups is a good idea! 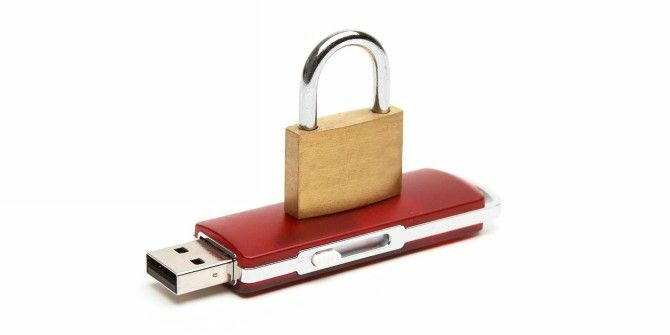 That’s five ways a USB stick can be used to improve your digital security. Do you know of other methods? Tell us in the comments. You are right. We often take this simple security precaution for granted. The article states, "Forget about the risks of keyloggers in cybercafés and libraries — instead, install an operating system on your USB flash drive." I imagine few libraries (or maybe even none) will let you mess with their computers this way? Ditto for cyber cafes as well? Would love to know if this method is truly practical or just "hit / miss" or completely impractical? It's unnecessarily vague, and I'll sort it out. I've been to plenty of cyber cafes in European seaside resorts that let you run an OS from USB, however.